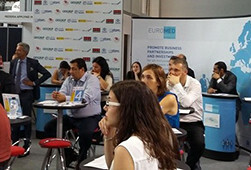 The meeting, organised in the framework of the Mediterranean Nouvelle Chance (MedNC) UfM labelled project, aims to create a Spanish network of entities in order to increase employability opportunities among young people who have ab andoned school without obtaining a diploma. Organized with the support of the Secretariat of the Union for the Mediterranean (UfM) and the Office of Economic Cooperation for the Mediterranean and the East (OCEMO), the first meeting of the Second Chance Schools of Spain (E2O) (Escuelas de la Segunda Oportunidad), held today in Barcelona, aimed to develop a Spanish network of entities for the social and professional integration of young people who are currently excluded from the labour market, namely students who have dropped out of school. The objective of the network is to consolidate a common model of E2O, fostering its development and sustainability and assuring recognition at national level while strengthening cooperation with other entities from the Euro-Mediterranean region. 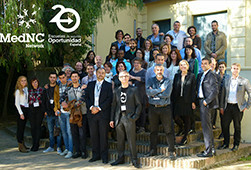 Among those attending the meeting were various representatives from national, local authorities and the private sector along with members and beneficiaries of numerous Spanish entities with an interest in this field such as Fundación Adsis, Fundació el Llindar, Fundación Proyecto Don Bosco, Fundación Federico Ozanam, Peñascal Kooperatiba and Fundación Tomillo. The pedagogical model of the Second Chance Schools, whose concept was presented in 1995 in the European Commission’s White Paper “Teaching and Learning, towards a cognitive society”, is based on three main ideas: an innovative training reinforcing soft skills, support in social aspects and internship experiences in partner companies. The concept is nowadays well established in Europe with over 50 schools registered in the European association and who apply the same principles. In France, a similar network, founded in 2004, composed of 42 schools, has succeeded in significantly increasing the number of young beneficiaries to 14,000 in 2014 with a 60% success rate. A multilateral agreement and a charter of principles were signed earlier today by the participating Spanish entities. A clear roadmap envisaging the integration into the Mediterranean Nouvelle Chance (MedNC) project was also defined. The Second Chance Schools agreed to meet on January 27th-28th and 29th in Marseille in order to visit the emblematic school of Marseille, meet the president of the French network and organize a seminar. The national E2O coordinator, Guillaume Thureau, who was previously project leader of Algerian’s Miftah Ennajah School, will bring his support to create and strengthen this new Second Chance Schools network in Spain. 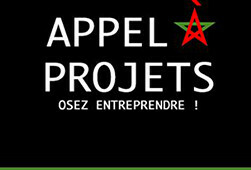 Labelled by the UfM in December 2014 and promoted by the OCEMO in collaboration with the E2C of Marseille and the AFD, the MedNC project is based on the regional exchange of “know-how” and good practices among accredited entities helping both young people who ab andoned school without obtaining a diploma and unemployed graduates in finding a job. The project is currently under implementation in Morocco, Algeria and Tunisia and foresees exp anding to other Euro-Mediterranean countries such as Spain where youth unemployment rates exceed 50%. EDILE (Economic Development through Inclusive and Local Empowerment) has passed another milestone, with the creation of the 'first Mediterranean label"awarded to investment projects adopting a transverse approach. The announcement was made on 4th November last by the European programme's coordinating body the ANIMA Investment Network at the first awards ceremony organised in collaboration with the OCEMO (Office for Economic Cooperation in the Mediterranean and Middle East), which rewarded six inclusive Euro-Mediterranean companies*. The label offers companies "several privileges including visibility, a community of investors, resources and training and advantages in dealings with administrations and backers," according to ANIMA. The participation of major institutions (French Development Agency, EIB, Caisse des Dépôts, UfM) should allow the inclusion of Algeria, Egypt, Morocco and Palestine in 2016. As part of its support for the employability of South Mediterranean young graduates, the JEY (Jeunes Entrepreneurs - Entrepreneurship for Youth) project is turning its attention to entrepreneurship, setting up a business creation competition. JEY, managed by students from Kedge Business School under the supervision of the OCEMO and the RMEI-RMEM*, works together with local student organisations, offering entrepreneur c andidates assistance over a period of 18 months, from business plan right through to company set-up. On 20th and 21st February, 2016, the network will be marking a new phase in its existence. Casablanca's ISCAE, in partnership with the ENCG in Marrakech, will for the first time be hosting the Phare Euro-Mediterranean business creation competition. Calls for "JEY – project carrier" joint c andidatures were issued in October and have resulted in 23 applications. Can vocational training reduce youth unemployment? At the request of the EU's Luxembourg presidency, the Institut de la Méditerranée has produced a report on the efficacy of vocational training in reducing youth unemployment. "Vocational training is a tool that should enable the acquisition of skills in line with economic realities," underlines Institut de la Méditerranée managing director Constantin Tsakas, highlighting new technological tools, "green" industries and highly-specialized training measures. 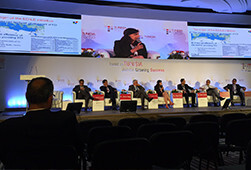 In their final communiqué published in November at the 11th Mediterranean Economic Meetings that closed the Mediterranean Economic Week, the FEMISE and the Cercle des Économistes called more co-production and the creation of a €200M fund. After "Imagine your work tomorrow!" in 2015, the Cercle des Économistes is asking students in 2016 to think on what they expect from France in a world in upheaval, a theme that will serve as a base for discussions at the Rencontres Économiques taking place in Aix-en-Provence from 1st to 3rd July, 2016. To be a speaker at the Rencontres, students have until 3rd April to post their papers on the laparoleAuxEtudiants.fr website. A jury, chaired by Érik Orsenna, will deliberate on 3rd May to decide the 100 winners, with the list published on 5th May. Three of the winners will receive a €1000 prize and a compilation of the "innovative and forceful ideas" will be published. HOMERe – How to invest in human capital? Launched by the Réseau Méditerranéen des Ecoles d’Ingénieurs et de Management (RMEI), French Foreign Trade Advisors and the OCEMO (Office for Economic Cooperation in the Mediterranean and Middle East), HOMERe* is continuing its spread across the Mediterranean. Initiated last March in Marseille, the UfM-certified programme aims to promote employability through six-month internships for students whose profiles have been carefully selected. Thus, young graduates from the Southern Mediterranean might be trained at the head offices of their host companies in France before joining one of their subsidiaries in their home countries. 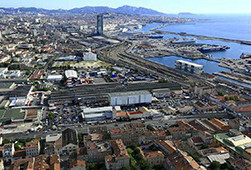 The regional consortium, which met in Barcelona on 27th November, is due to meet again at Marseille's Villa Méditerranée at the end of February to meet with PACA-based companies. Internship offers should be sent to homere@rmei.info. "We are all Mediterranean" is the banner under which the representatives of the Mediterranean regions -who met in Palermo on 18th and 19th May, 2015- campaigned to uphold the values of "solidarity and social and economic integration" in the face of "the challenges brought by migrants' misfortune." In the wake of this campaign, on 14th September, the Provence-Alpes-Côte d’Azur Region put in place a measure to help students whose university studies have been disrupted. A convention has been signed with Aix-Marseille University and the association Démocratie & Entraide en Syrie Ghosn Zeitoun. Among other features, it provides a study grant with access to FLE (French as a foreign language) classes. The selection process is under way and the first students should start to arrive as early as January, 2016. At the beginning of November, a Euroméditerranée jury appointed the consortium in charge of building the XXL block, an eco-friendly district that will test a number of innovative building concepts. Urban intelligence, societal innovation, green technologies, digital technology uses - Euromed II intends re-inventing town planning codes to reduce its environmental footprint. With the Allar demonstrator (58,000 sq. m. of PlusEnergy buildings due to be completed by 2018), the nearby XXL block reinforces the Euroméditerranée public development consortium's stated intention of being a laboratory for testing sustainable building concepts. The mixed-use, 280,000-sq. m. programme has been awarded to the Bouygues Immobilier/CIRMAD joint venture. After one year of studies (starting early 2016), the winning team could see itself commissioned to begin construction of a first phase (for delivery between 2017 and 2021). The ASCAME (Association of Mediterranean Chambers of Commerce and Industry) and Marseille Provence CCI Marseille Provence have reinforced franchising's position in the Mediterranean with a round table organised on 4thNovember as part of the Mediterranean Economic Week and then the Top Franchise Méditérrannée event at Marseille's Palais de la Bourse on the 16th and 17th. "Franchising is a key growth lever for companies in the Mediterranean," explains Mohamed Choucair, chairman of the ASCAME. "We target Mediterranean investors who want to become master franchisors of international concepts." The European Investment Bank (EIB) at the beginning of November granted three loans to the Greek energy sector. A total of €285M, in three parts, will be directed at improving electricity transmission and reinforcing energy security. The first of the loans (€110M to the Public Power Corporation S.A.) is the second tranche of the €190M loan for ensuring electricity supply to 18 Greek isl ands. The second (€70M to the Independent Power Transmission Operator) is aimed at improving interconnection between the Cyclades Isl ands and the mainl and. Lastly, €40M loaned to the Hellenic National Gas System Operator S.A. will be used for the Revithoussa LNG Terminal extension.